IRI (International Research Institute), provided at Vinitaly wine fair a ranking of the “10 most popular wines for Italians” considering wines sold in Italian supermarkets, in all types of formats in 2014. 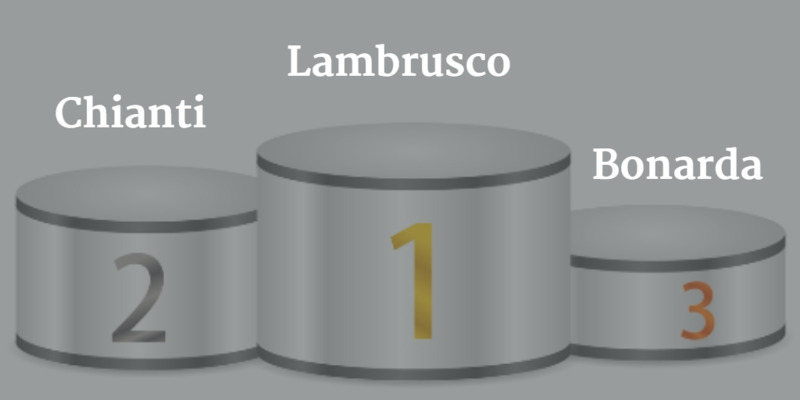 Ranked first is Lambrusco, with 13.3 million liters. Follow Chianti (11.7 million), Bonarda (8 million), Barbera (7.7), Montepulciano (7.6), Chardonnay (7), Sangiovese (6.3), Nero d’Avola (5.8) , Vermentino (5.7) and Prosecco (5).